Oaia Island is less than 2 km out from Muriwai Beach. It is home to gannets and seals. In the foreground an impressive flock of white-fronted terns. 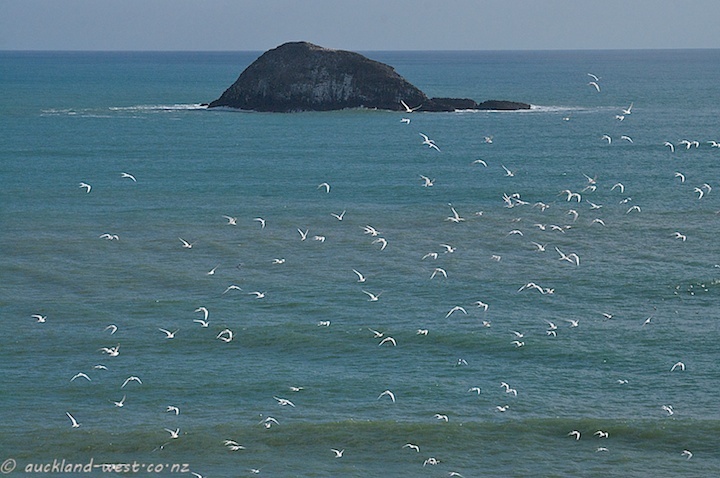 The terns occupy the lower ledges of Motutara Island and also the slopes between the viewing platforms at Otakamiro Point, Muriwai. Lots of them flying individually or in small groups, but every now and then, they lift off in unison, for a great display.